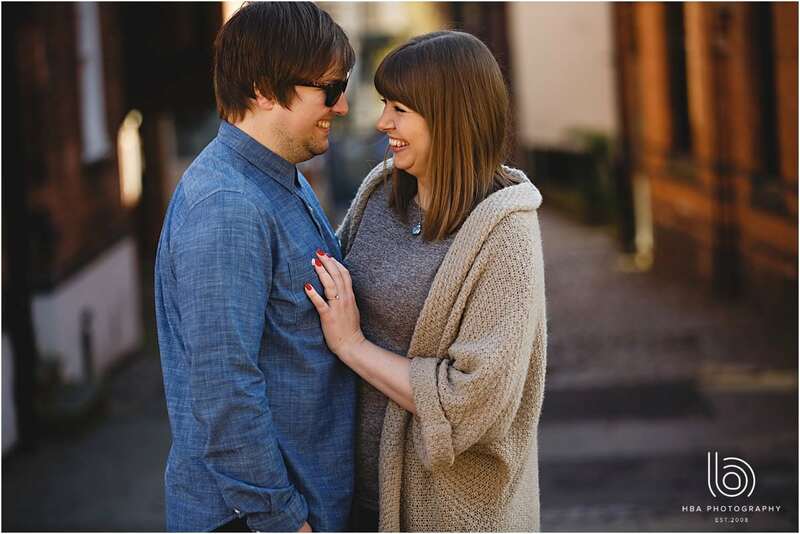 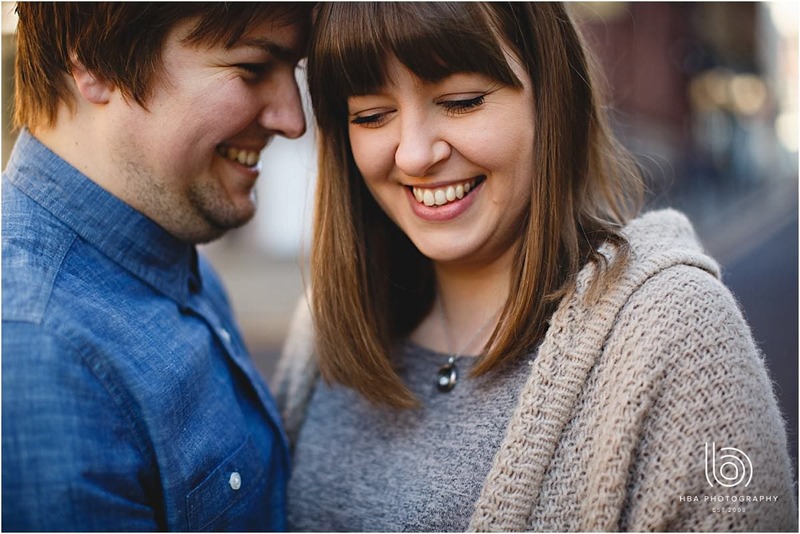 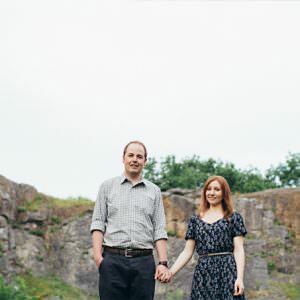 Meet Brett and Amy – Not only are they a great couple together, but they’re also so lovely. 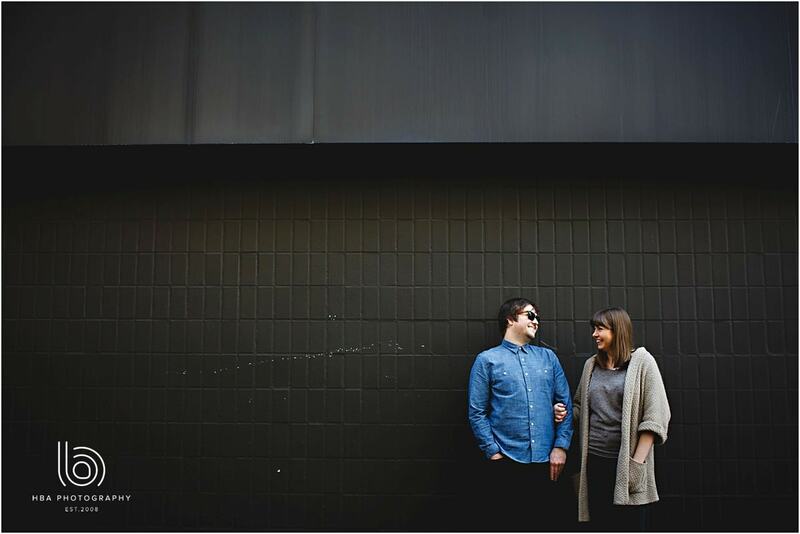 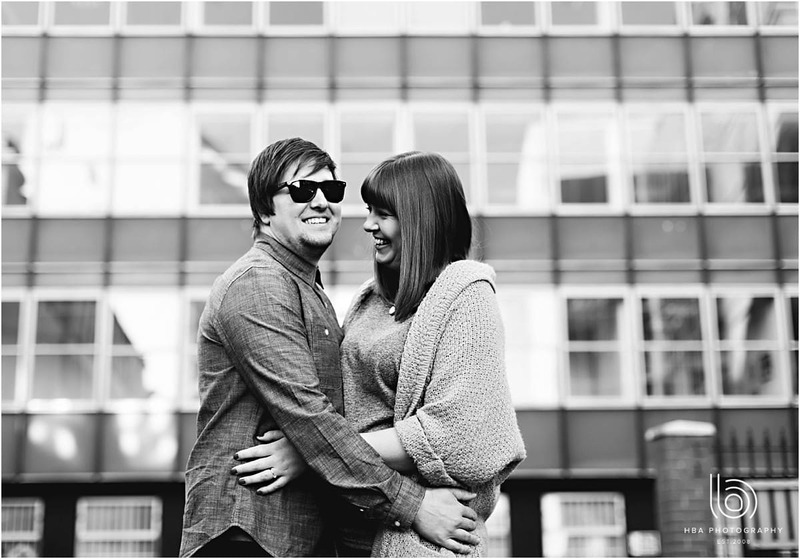 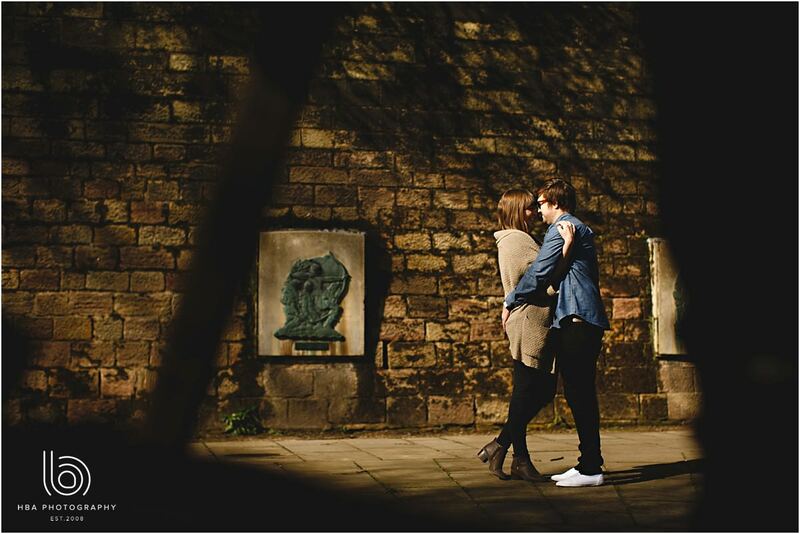 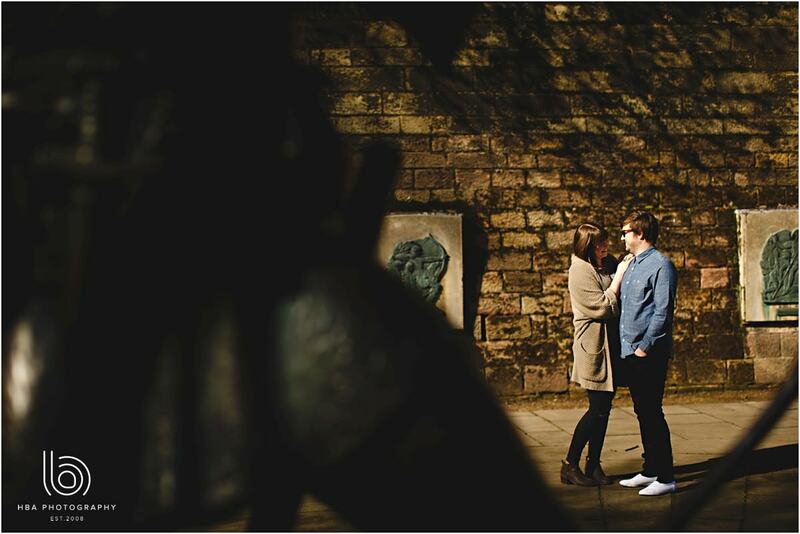 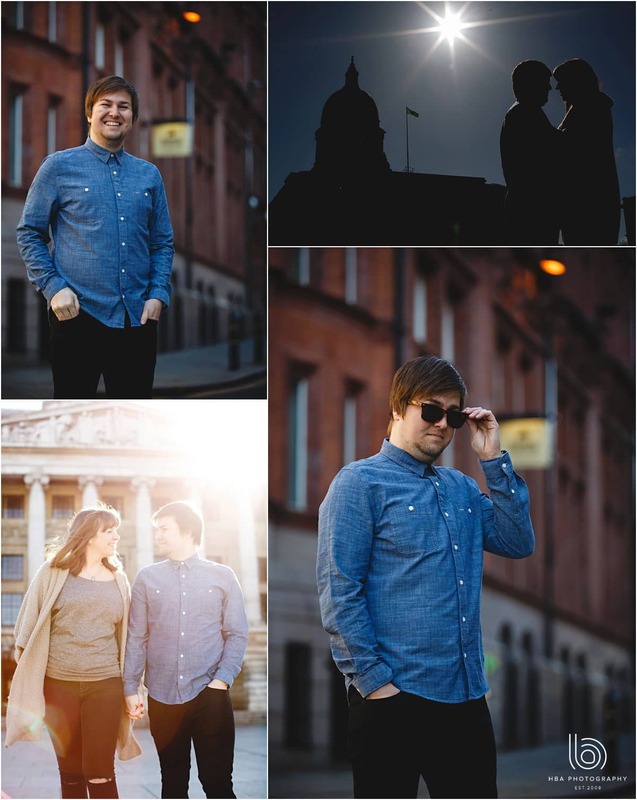 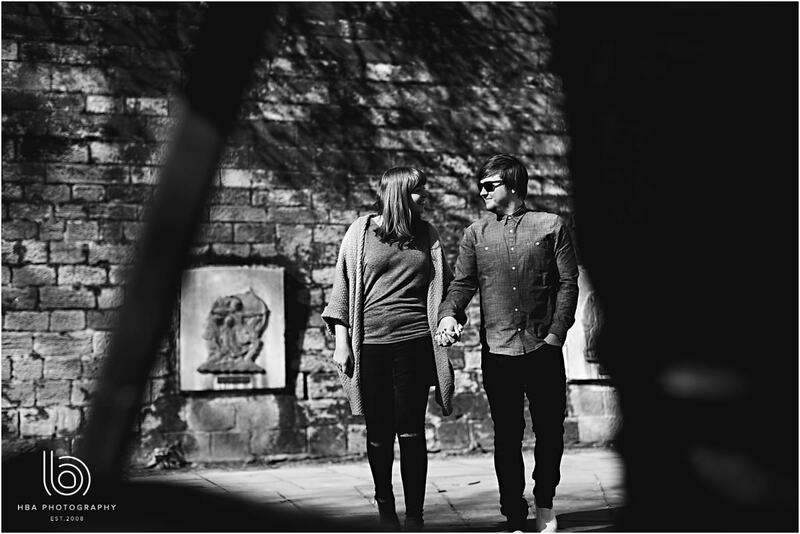 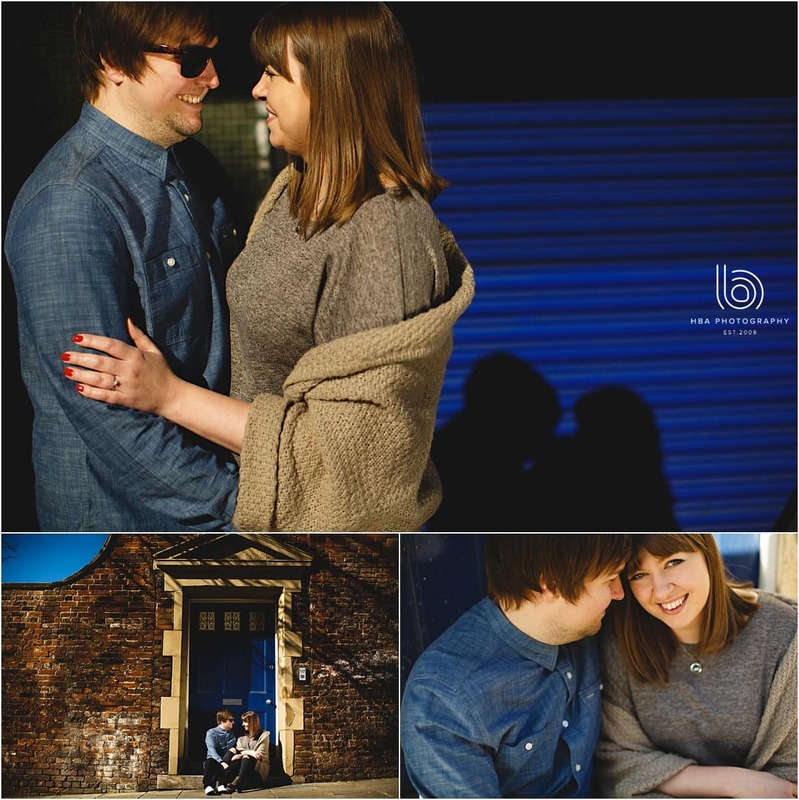 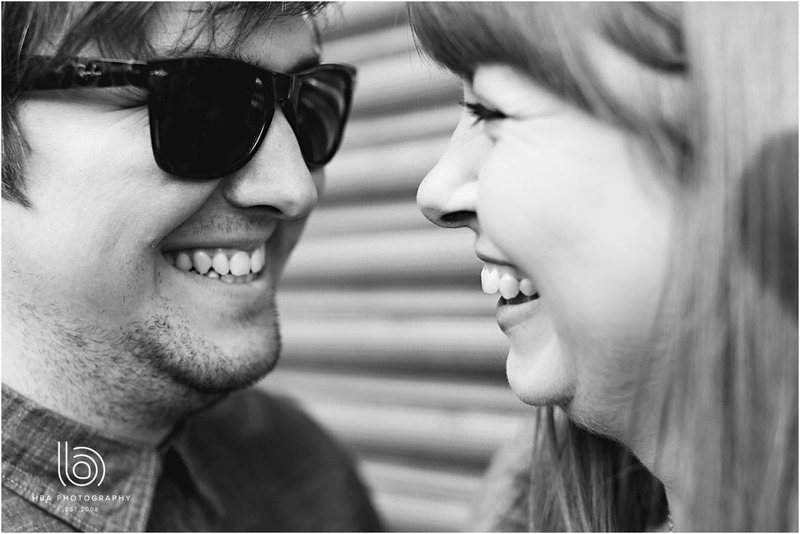 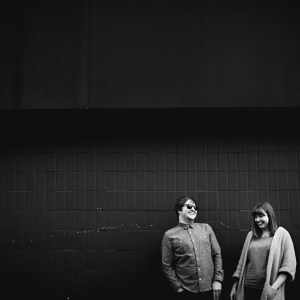 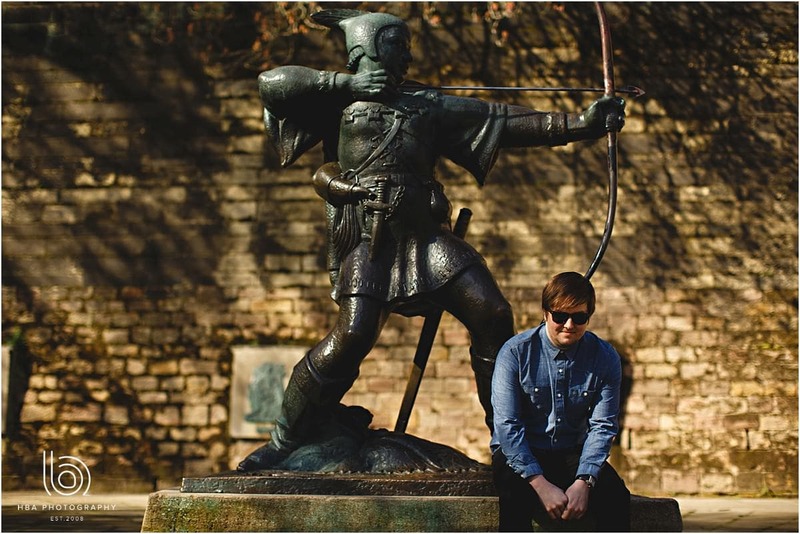 They were pretty awesome at having their photo taken for their engagement shoot in sunny Nottingham too! 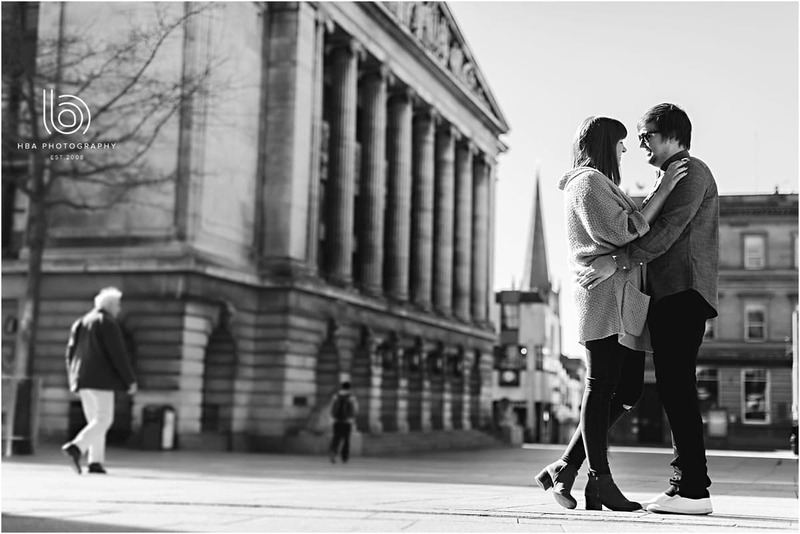 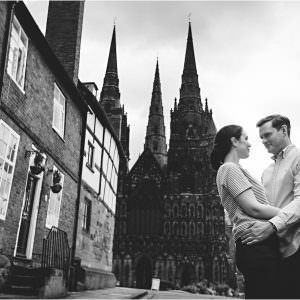 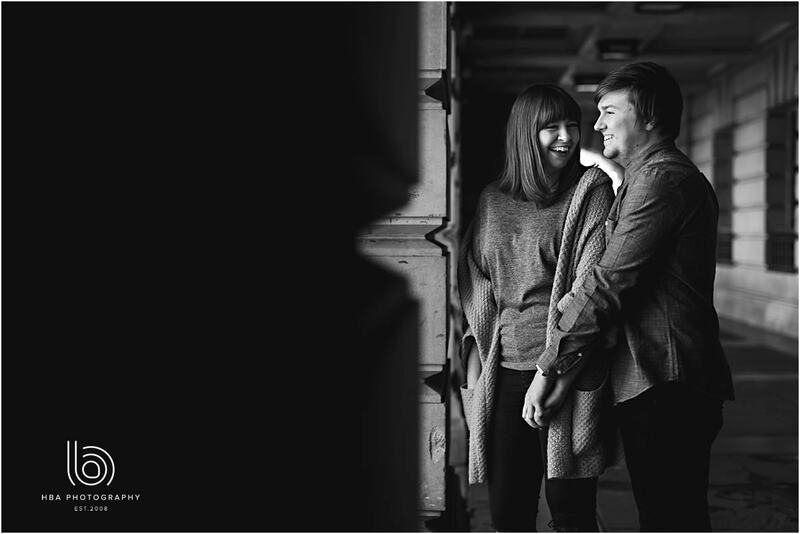 We met in Nottingham City Centre, bright and early on a Sunday morning before the world was awake and we had a wander around, picking out some cool locations for their engagement pictures as a practice before their wedding in September. 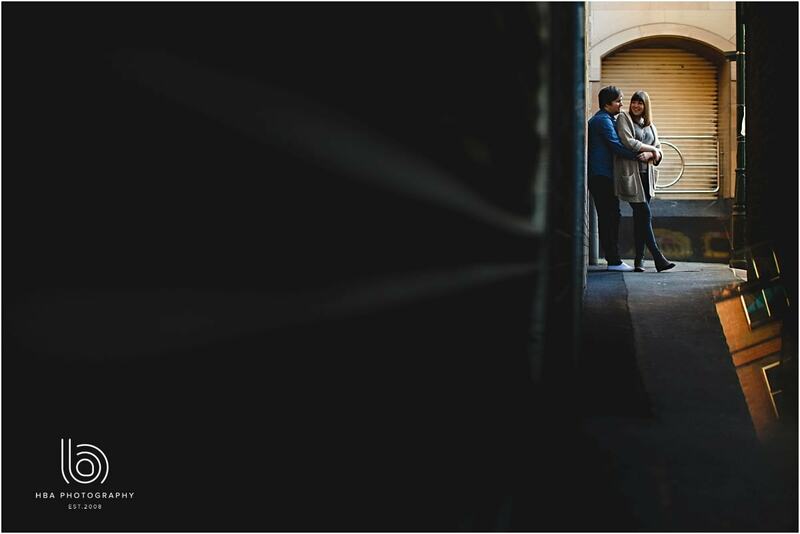 We always love the city early in the morning – everything is so peaceful and there’s something pretty cool about wandering around a city when its empty knowing that in a few hours it’s going to completely change. 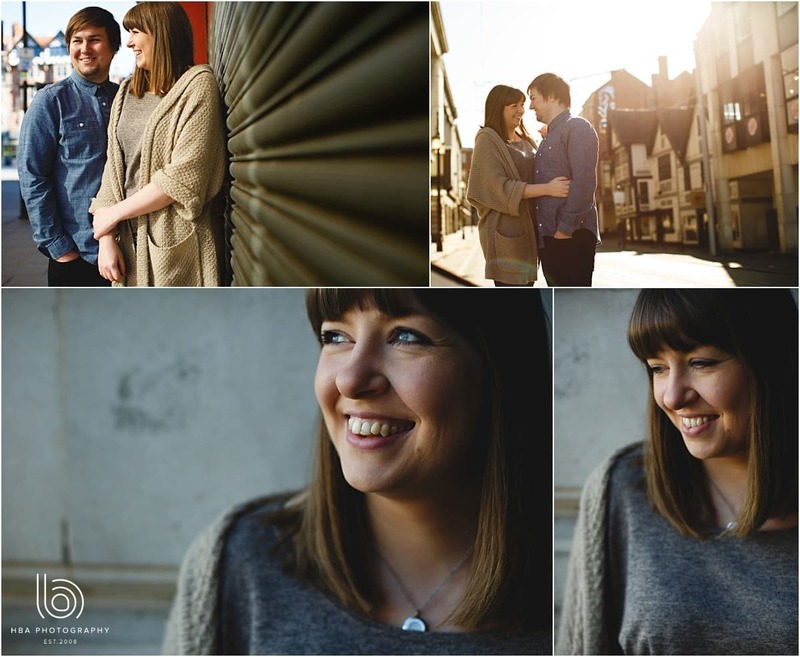 There are always so many cool places to shoot too – lots of dark alleyways, rusty old shutter doors and shop windows. 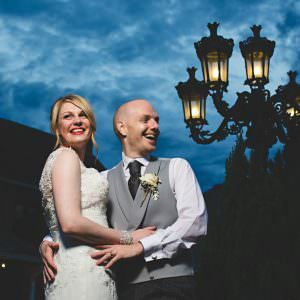 Even people’s front door-steps come in handy – we were waiting for someone to open their door in their dressing gown to collect their paper only to find Brett and Any sitting there – hehe!